Umbrella Cover Included. Base Sold Separately. 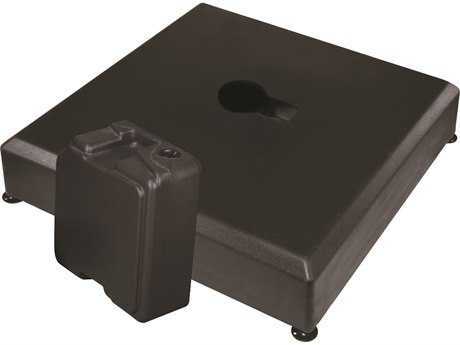 Built-in Light Adapter to fit Treasure Garden Lights. 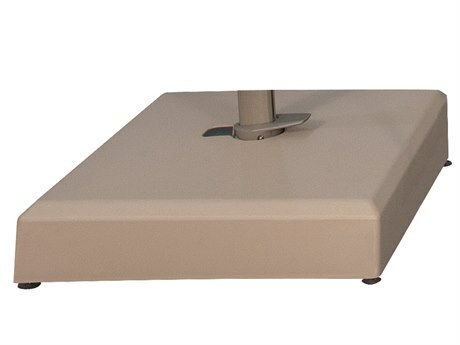 Convenient foot pedal to easily rotate canopy. Optional Valance not recommended with use of Mount Kits (Mount Kit reduces the canopy clearance by 7.5”). The product is very well manufactured and the tilt options are far superior in comparison to similar products I purchased previously. 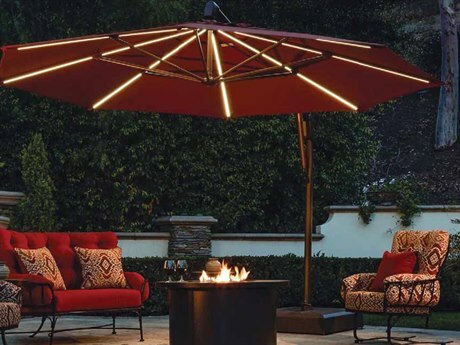 I purchased the umbrella after the fall season so I haven't had the opportunity to test it in the brutal summer months, but I saved approximately $500.The product is a little pricey but I highly recommend it if you desire quality, durability and functionality! I have two of these and love them. When opened and side to side it is great area to hang out in. 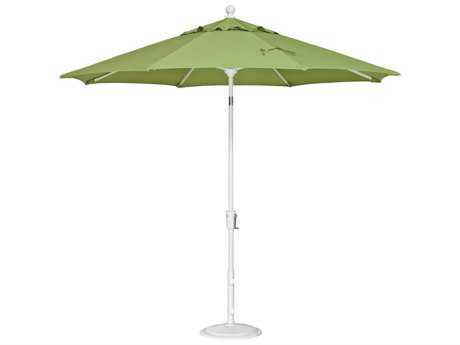 I am very impressed with the quality and sturdiness of the umbrella. It is bolted down in cement and we love the size! I would purchase another one for another area in the future. Very pleased with the umbrellas. Easy to install. 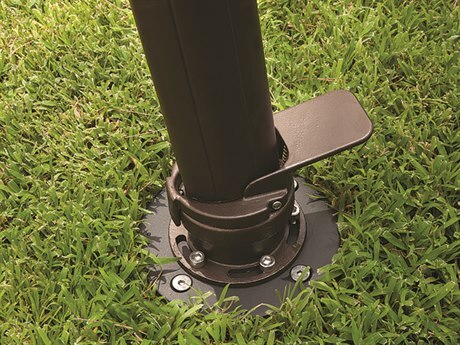 Impressed that the bolt holes connecting the umbrella to the mount bracket were perfectly aligned, sign of quality craftsmanship. 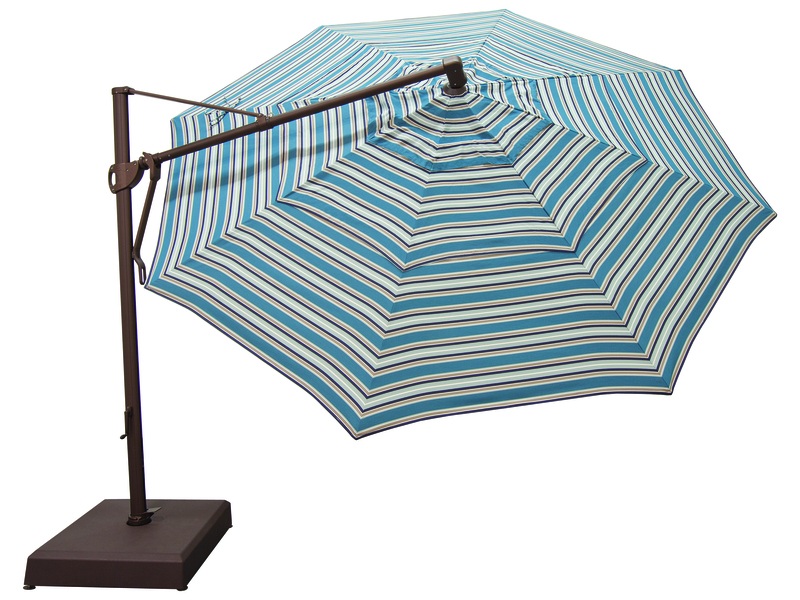 Umbrellas and umbrella stands appear to be of high quality. Especially like how it is easy to unroll and roll back, and the tilt and swing features. Nice job on the cover with the rod and zipper string. Only have had them up for a week but very pleased at this point. Works like a charm! 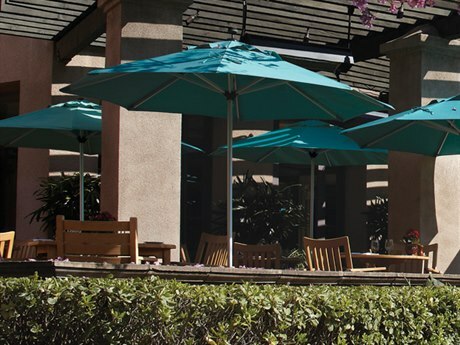 Patio Living was great -- BUT the actual delivery was later than the promised delivery -- and the external box was damaged - fortunately there appears to be no damage to the actual Umbrella...…. We are extremely pleased with this umbrella. We love the versatility. 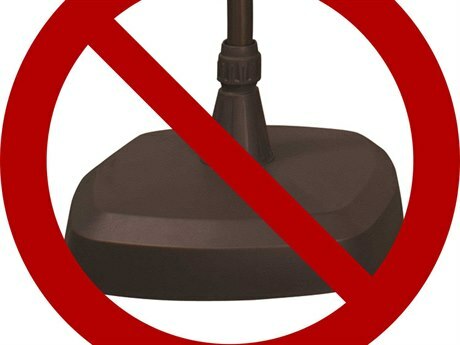 We can cover different areas of our deck by swiveling and/or tilting. It was easy to put together, took about 30 minutes. It took two of us, because of the height. The other umbrellas we had in the past, the bottoms weren’t sturdy and looked terrible after awhile. 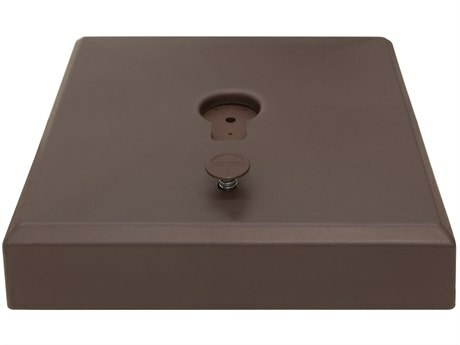 This base is excellent, very secure and easy to fill. The delivery was good, no issues. 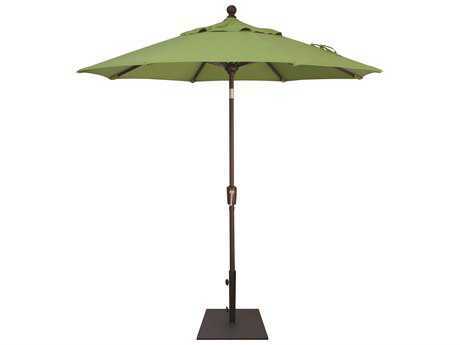 Simple to set up, but definitely need two or more to install umbrella to the base. Yet to see how this in mild winds. We love our new umbrella. Great options for tilt and rotation. Love it - great color and easy to use! 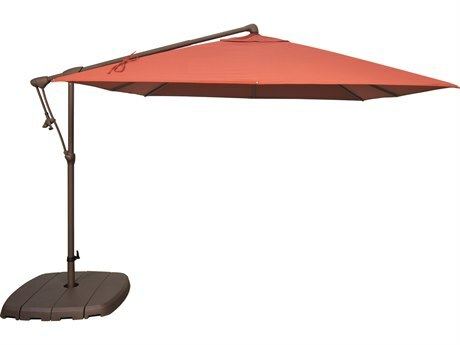 Love the umbrella... put it up and spent the afternoon sitting on my deck in total comfort, reading a book. Very easy to install and use. High quality and I expect to get many years of shade from this. 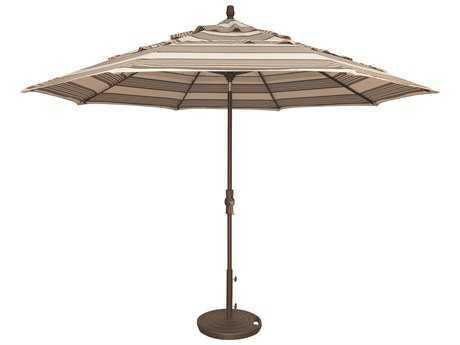 When we have guests everyone hangs out under this umbrella. 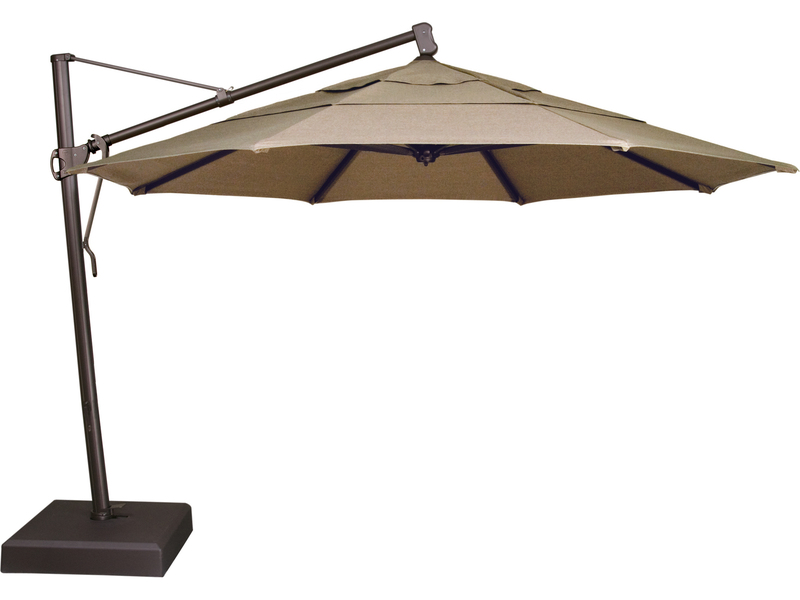 The quality of the Treasure Garden Cantilever umbrella is far beyond our expectation. We first opened it on a hot summer Kentucky afternoon. The shade was immediately appreciated. The design is a perfect answer to the desires for beauty and functionality. 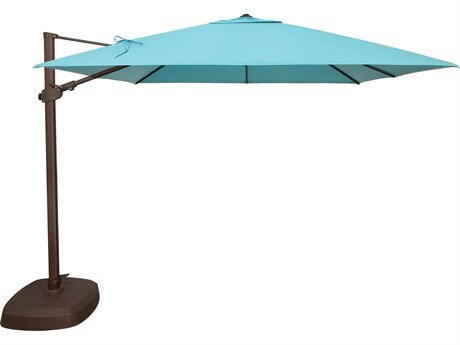 Shopped hard before pulling the trigger on this umbrella. Very well made. Does everything I hoped. Got it out on our pier. Bought the deck mount. Works great. Even can swing it over the water for shade on the new grand baby ?? We got the Umbrella about two weeks ago. It is very well made and exceptionally easy to put together. Huge coverage area and very easy to extend and retract. It is not cheap but is well worth the money. 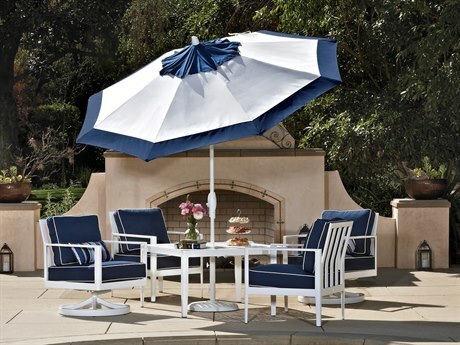 Ordered with Sunbrella Pacific Blue and we're extremely happy with our purchase. Setup was a breeze and the coverage it provides is perfect for our pool area. Good size. Very sturdy. Looks like it will last a long time ! The umbrella works great and was easy to assemble. We haven't had that long yet but seems sturdy. Looks great and the ability to move to so many different angles is great. 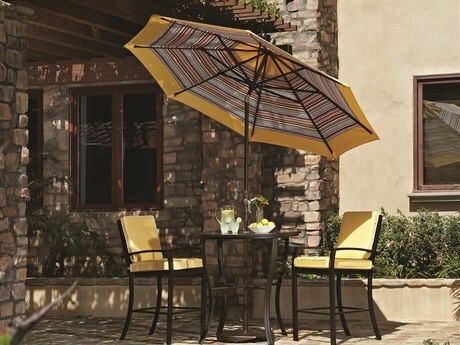 Umbrella was exactly what we needed for our porch. 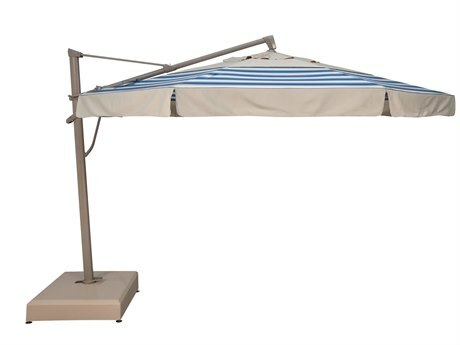 The size gives us additional shade and we got the sunbrella fabric as we knew it would hold up to the sun and block UV rays. I am so impressed with this high quality umbrella. 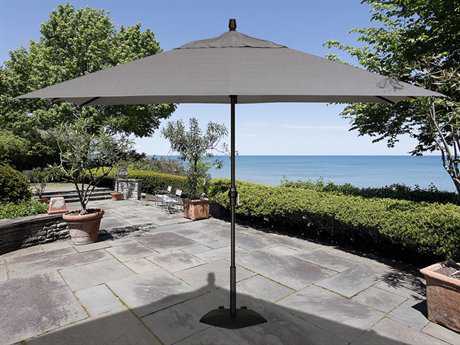 It is constructed very well and gives so much shade. I wouldn't hesitate to buy another one. You cannot beat the great price and quality of Treasure Garden.. 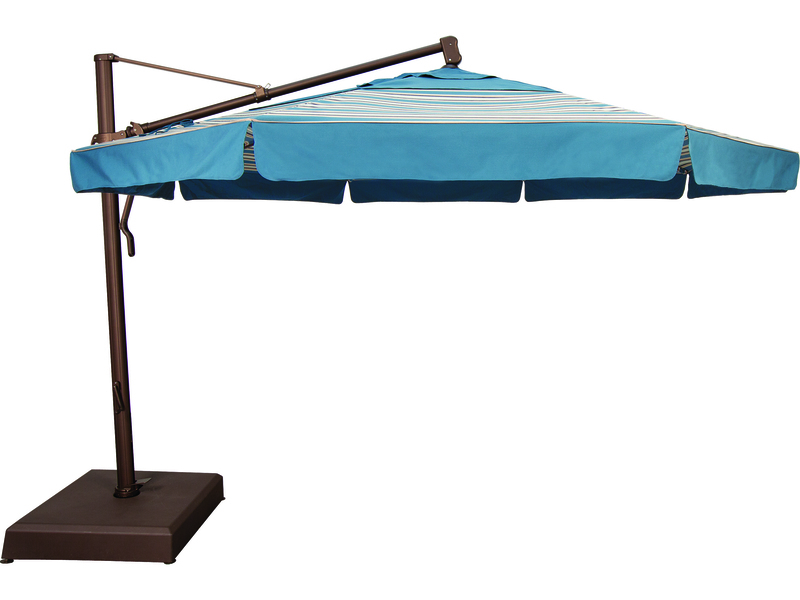 I used the Sunbrella Dupoine Walnut color and like how much light it keeps out. 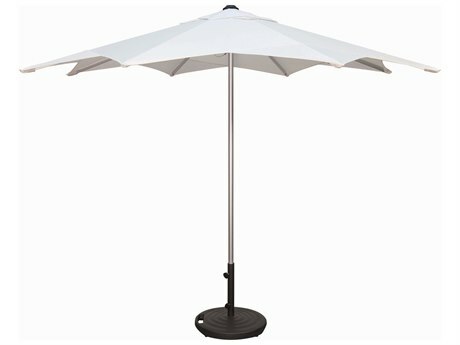 Bought this umbrella as a replacement for a 2010, smaller (10 Foot) umbrella of the same make and design - what an improvement in the functionality. Assembly was very easy (except for the base that required filling up with 400 Lbs of sand in a very laborious and badly designed process. See separate review for details). 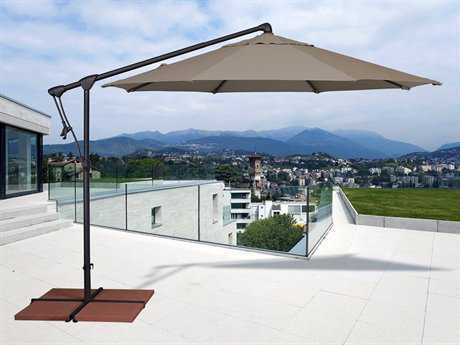 Raising and lowering is very smooth, as is swinging and tilting of the umbrella, in spite of its substantial size. 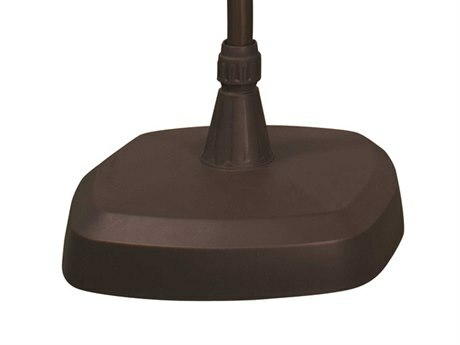 Lamp mount is very easy and convenient - all in all it is perfect to cast shade on our patio and extend its usefulness for many hours. Two suggestions for improvement that would really make it even more perfect: 1. 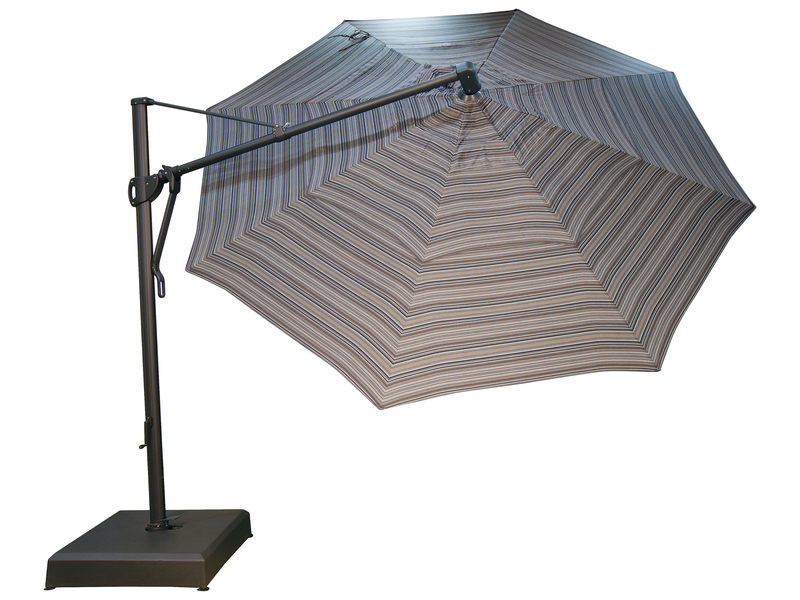 Providing a mechanism to tilt the umbrella up and down along the main pole while centered - this will allow much better protection from a low sun in the west sky, which tilting sideways does not provide. 2. Improve the design of the base to fit available tools in the market for filling up the four buckets, or provide specific ones for it. Great buy, easy to operate and looks wonderful. 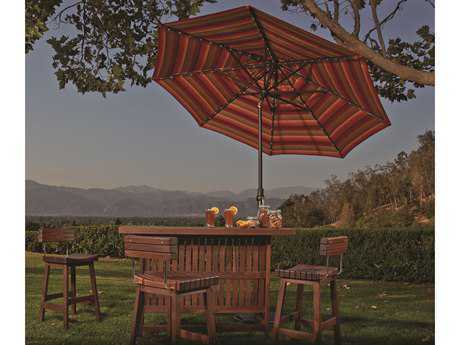 Offers shade to our 16 x 16 deck. So glad we discovered this product. 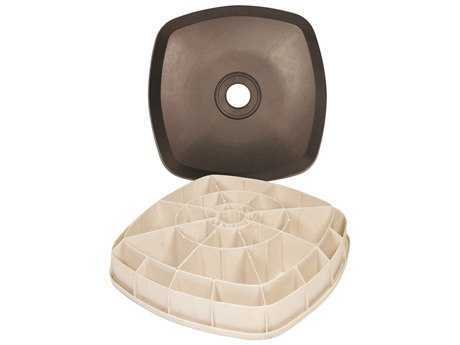 We saw this product in use at another location and looked for it on-line. 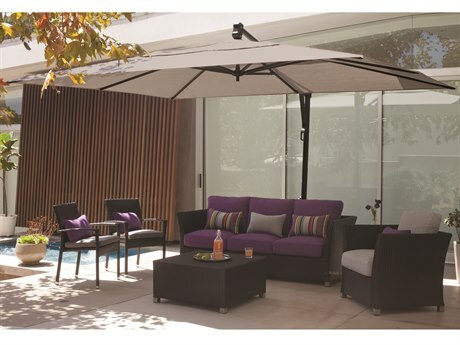 The shade covers a large area and swivels at the base, can be angled and tilted and locked into position.. It was easy to purchase and it arrived on our doorstep sooner than promised. Final assembly was very easy. It arrived fully-assembled but just needed to be attached to the base with 6 screws and the crank handle attached to the crank with a single set screw.. All tools were provided. It was exactly as we had ordered and we are very satisfied. Love my Umbrella. It's so beautiful and easy to handle, all my friends are jealous. Guess Patio living will get some new customers! Don't think twice , get one !! You will not regret it. We really enjoy this umbrella. It has made a great addition in our patio setting. In particular, we like the flexibility of the settings that you can make with this style. Looks great, but terrific functionality. We ordered this to cover a small seating area which it does beautifully. We debated between this and the 11 foot, but decided to go with the bigger size for more shade. It is easy to set up, easy to operate, and easy to cover (I am 5 foot 5 for reference and have no trouble with it). It looks great and we hope to have many years of use. 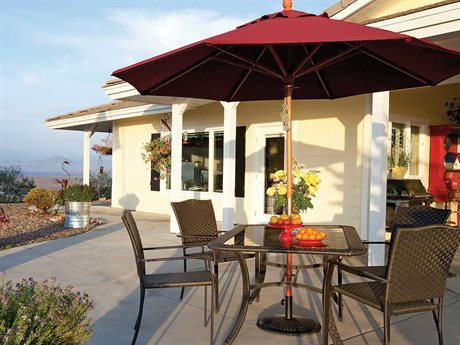 Gives us the shade that we need on our patio. Love the product, great price, terrible delivery experience. Delivery date was missed and was ultimately twice as long as promised. Customer service apologized but could offer nothing else to include no new ETA. Though we love the product, other providers will be considered for future purchases. Works with ease. Has versatile adjustments. Our friends are jealous of the very cool shading system on our deck! This was a fabulous product. I bought two different shapes umbrellas. Also, I had a terrific rep through LIVECHAT, Chris, supporting me every step of the order to investigate products and options. Chris made all the difference in helping me choose Patio Living. This is exactly what we needed. The other umbrellas are just too small. 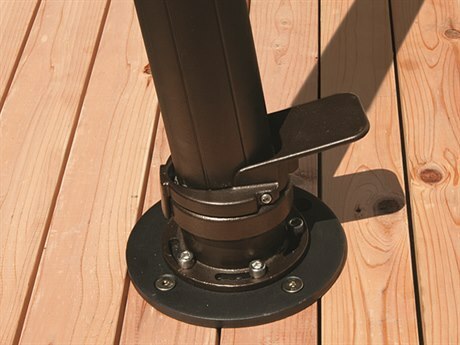 The best feature, we can swivel it to cover another part of our patio, depending on the sun. 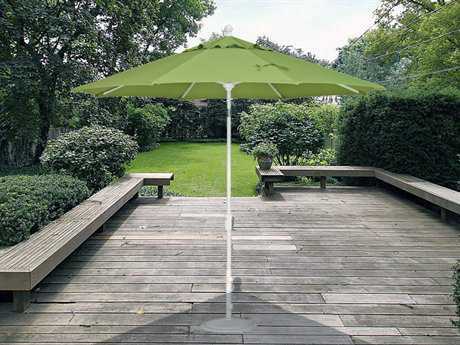 Amazing Umbrella easy to open and close. Very nice looking and does well in the wind. Exceeds expectations. Easy to open and close; a child could do it! Perfect size. Very strong. Easy to adjust. Perfect for over chairs and fire pit. 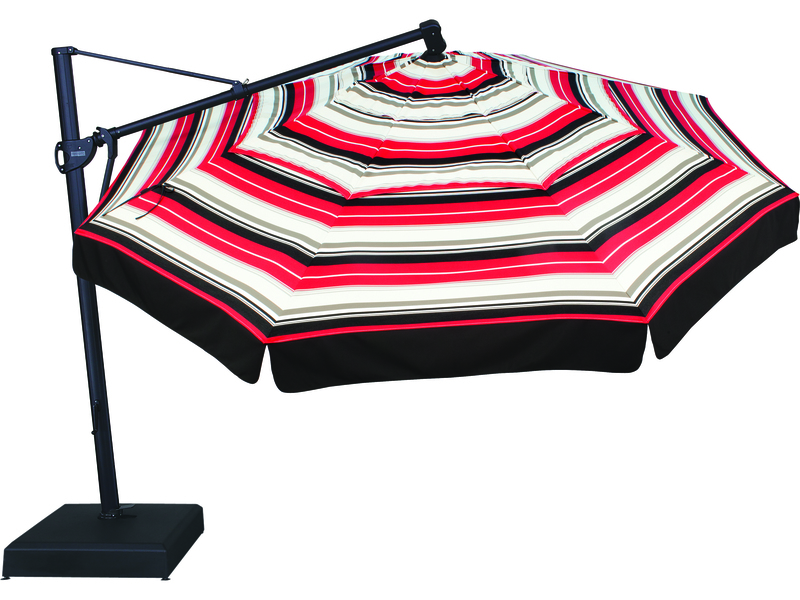 Helps to keep warmth in, and it's high enough that umbrella does not get hot at all. 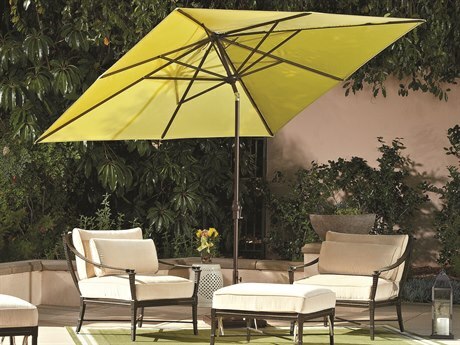 This extra large umbrella is exactly what we needed to block the intense afternoon sunshine on our back patio during the summer months. 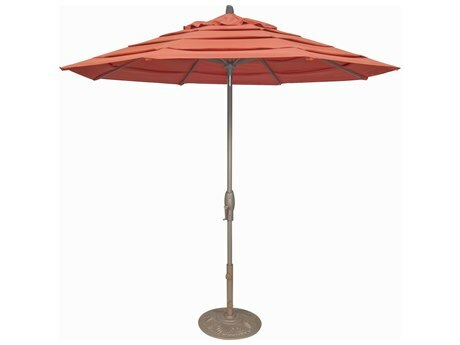 It tilts and rotates easily and is very sturdy. We purchased this umbrella after shopping at a local store. 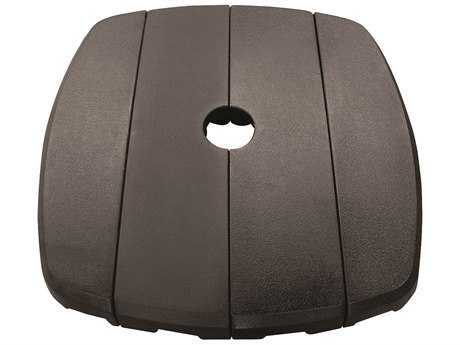 The pricing was much better and the quality seams to be the same.. Great product. We bolted it into cement and it is amazing! Everyone who sees it wants one. Very solid and easy to use. 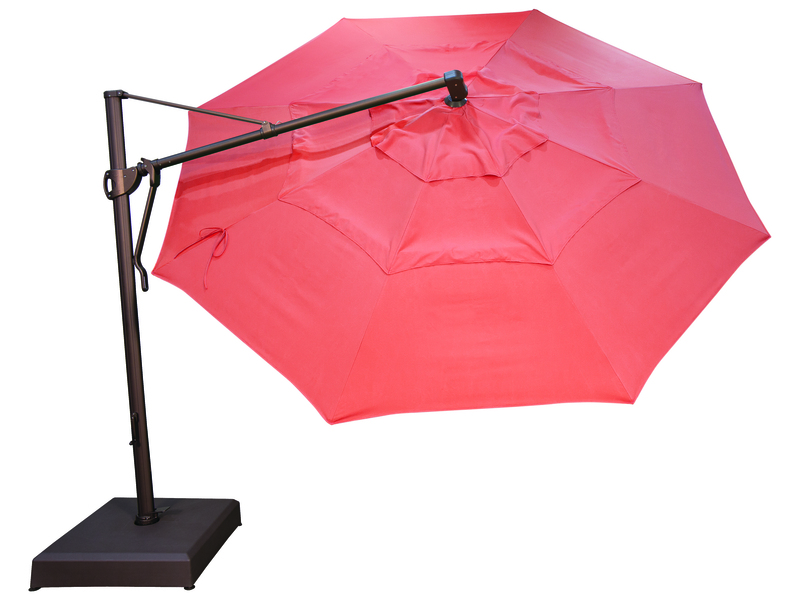 The umbrella performs exactHaly as described, with rotation and tilt. Works smoothly and is a beautiful piece. Easy to open/close. Tilt is also easy. Fabulous umbrella and so worth the price!!!!!! We love our umbrella! We actually have two because we love it so much! 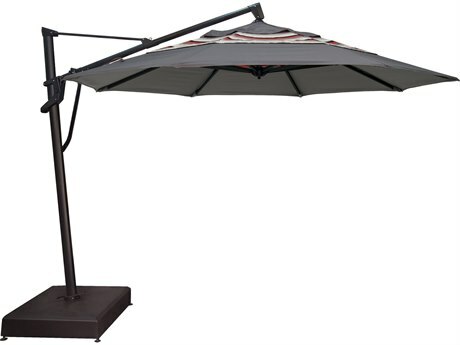 Best large umbrella for the money. 13 feet diameter has 70% more coverage than 10 foot diameter. 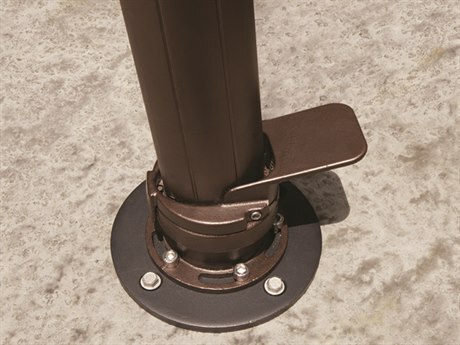 Heavy duty construction and works awesome when mounted to concrete deck plate. Lift/tilt/rotate easy to operate. 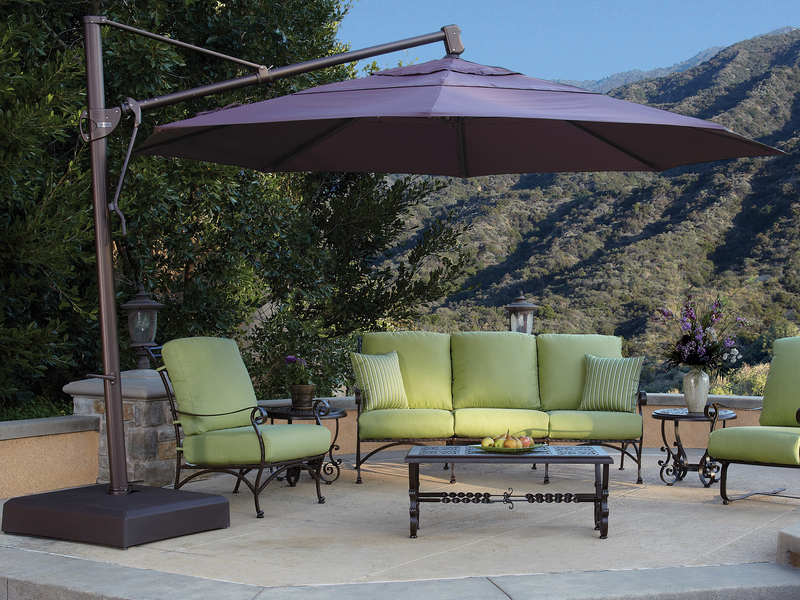 Sunbrella fabric with valence is very durable and looks rich. 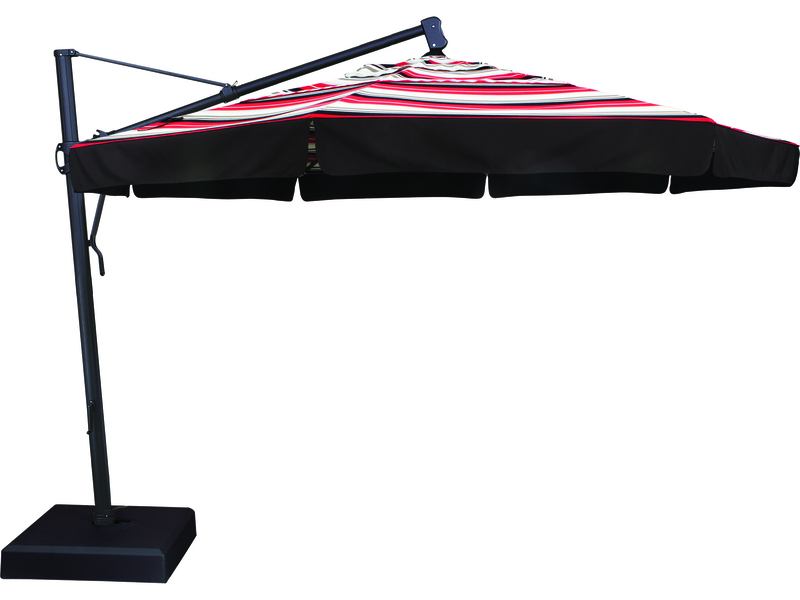 Umbrella cover is easy to use and totally keeps the umbrella dry and protected. 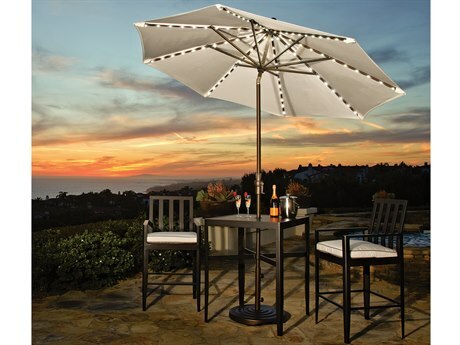 The 13' cantilever umbrella exceeds our expectations! It's easy to put up & down and the tilt feature is great. 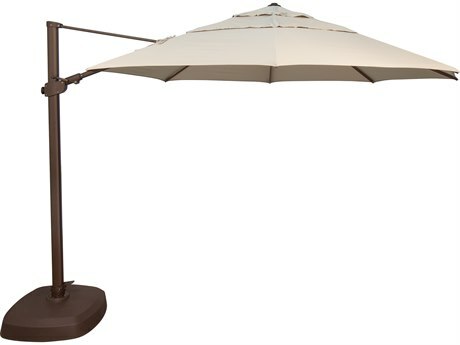 With the AKZ13 cantilever base and the Serenata Umbrella Light/Sound System we're extremely happy with our purchase. 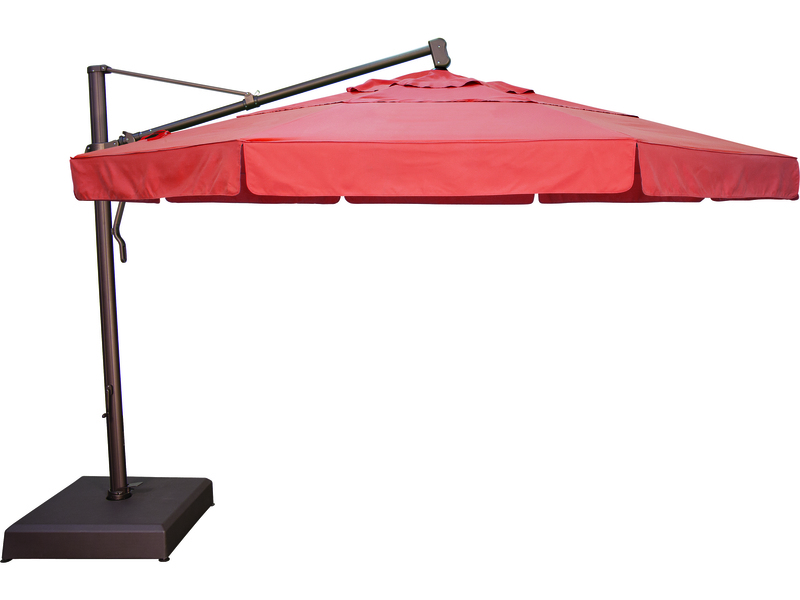 We were particularly pleased with the optional fabric we selected for the umbrella and felt the slight extension to the delivery time was well justified. We've had this umbrella for over a year and we love it. There have been NO ISSUES with it at all. 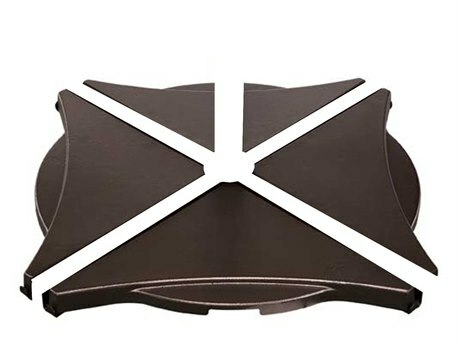 It swivels and tilts and covers a VERY wide area. I highly recommend it. Well constructed. 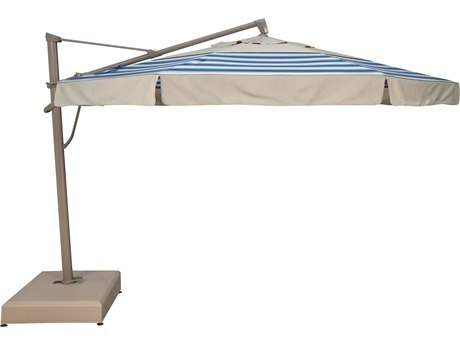 Tilt and rotate features work well and can be easily adjusted by one person with minimal hassle as position of sun moves throughout the day. Base is weighted with water-filled containers. 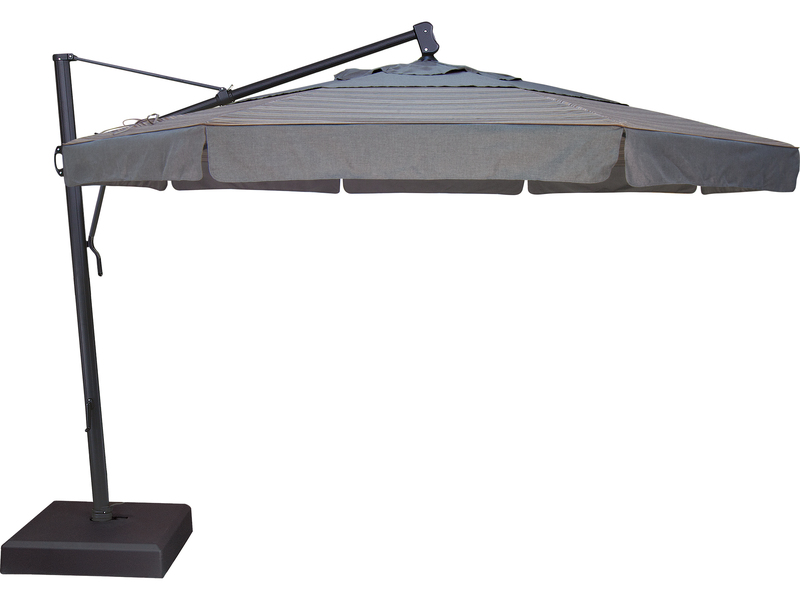 Once in place, moving base is not easy so this is not a good choice if frequent re positioning of entire umbrella is desired. Great product. 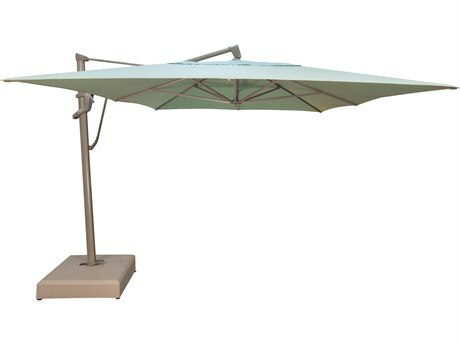 With its ability to tilt and rotate, the necessity for shaded areas was realized. The greatest customer service on the web!!!! 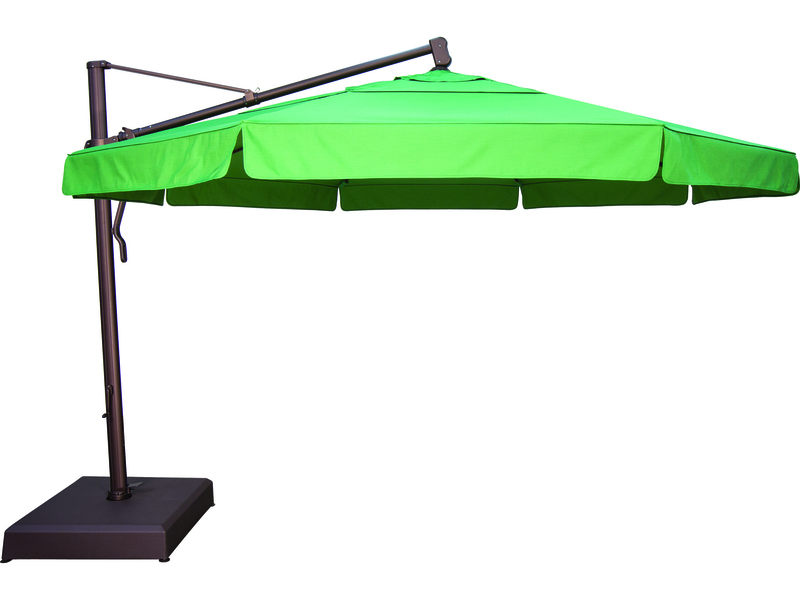 The umbrella is beautiful and covers my entire seating area. It's quite large and takes two people getting it upright. It's easy to operate and the lift is smooth. Supreme quality.